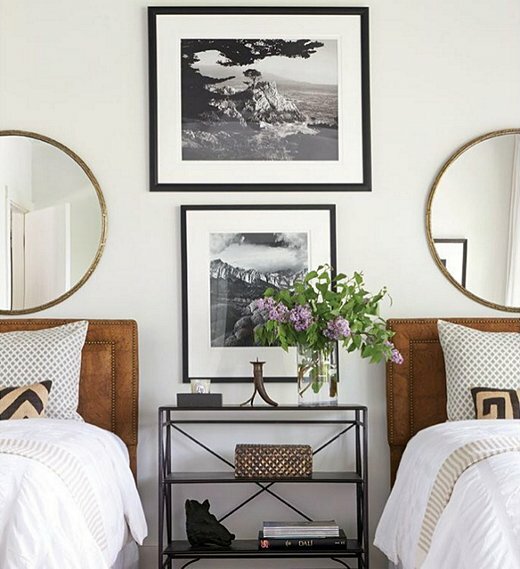 One of the easiest ways to decorate unused wall space is with a beautiful mirror or two, as seen in the photo above. You’d be surprised what incorporating a large scale round mirror into a room’s design can do to add elegance and sophistication to the look of the space. 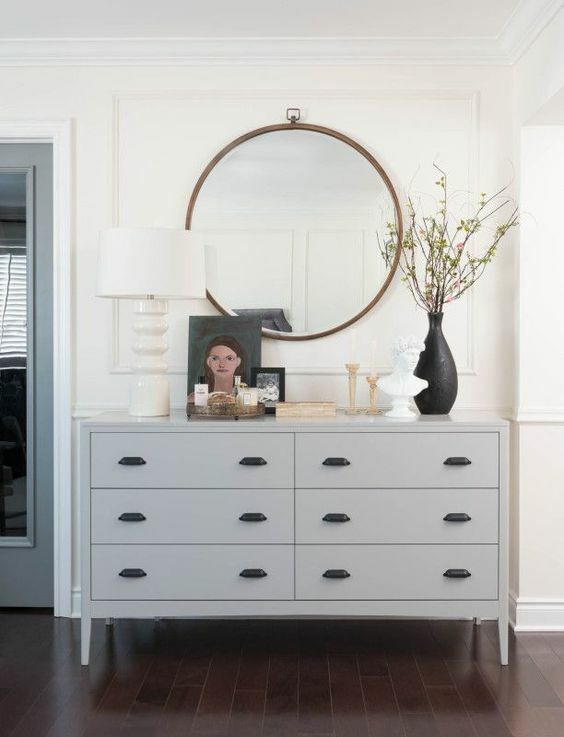 Although their shape is quite simple, over-sized round mirrors are great for softening the horizontal or vertical lines of furnishings like desks, tables, headboards and dressers. Using an over-sized round mirror as a focal point on the wall can also add a clean, modern look in a more traditional setting. 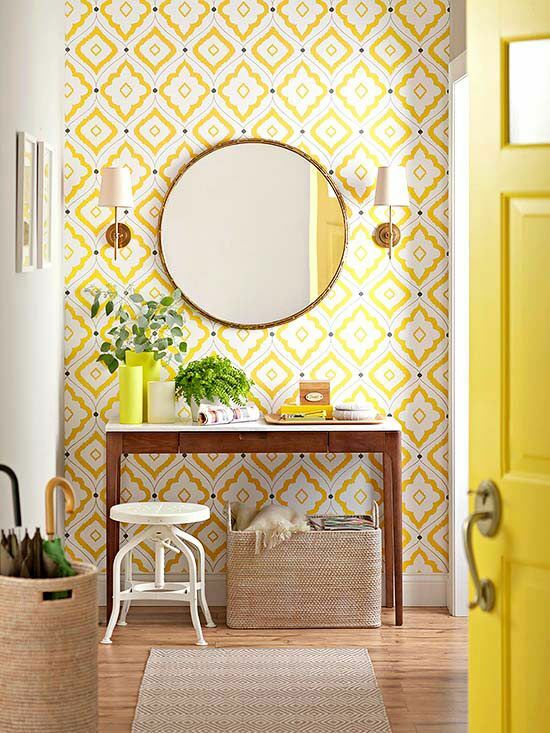 Circular shapes, like the round mirror pictured below, add interest and help soften the look of a wall when there are straight edges and vertical lines in the same space. 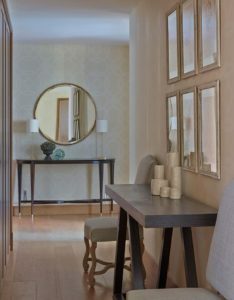 The round mirror breaks up the monotony of all the lines. 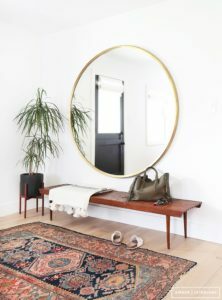 Hanging a large round mirror is also a great way to make a big statement. 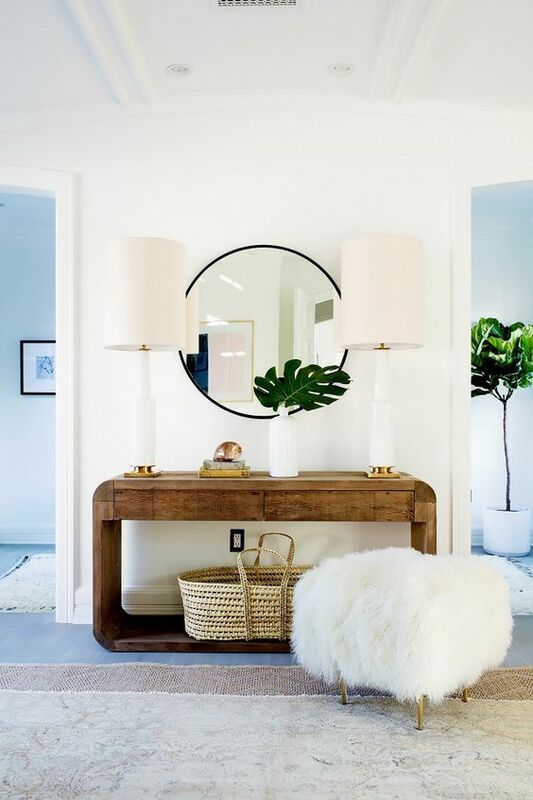 This mirror’s classic yet modern design effortlessly makes a statement to entering guests and really completes the design of this entryway space. 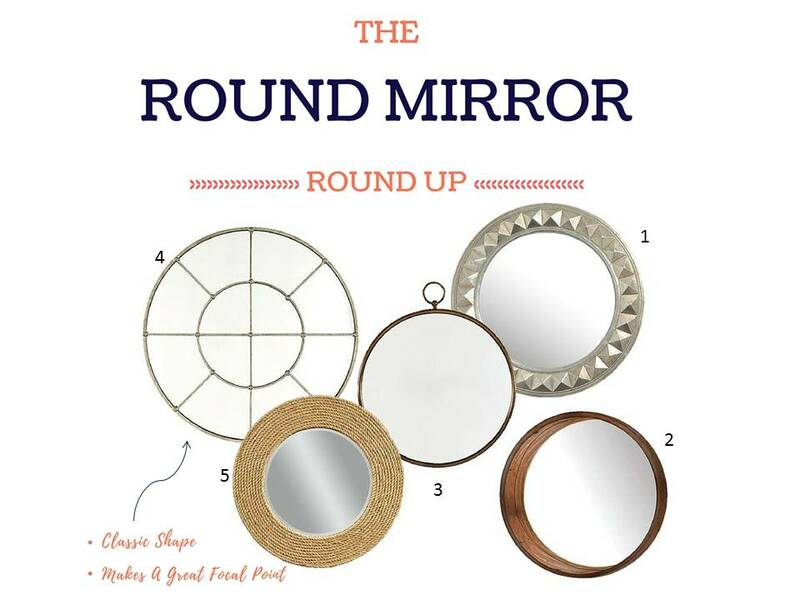 Where Should You Hang A Round Mirror at Home? 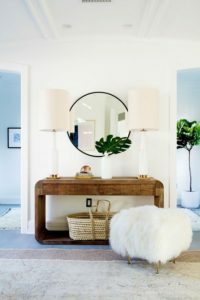 Some great places to hang a round mirror in your home are: above a table or bench in your entryway, over the sink in your bathroom, as part of a gallery wall, filling in the blank space above your bed, or over your living room sofa. Where Can You Score A Round Mirror For Your Own Home? 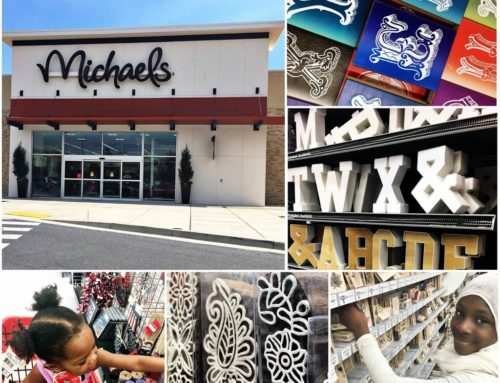 Ready to give your home decor a lift? 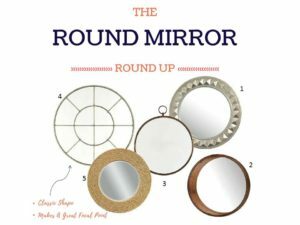 I’ve rounded up 5 of my favorite round mirrors just for you. 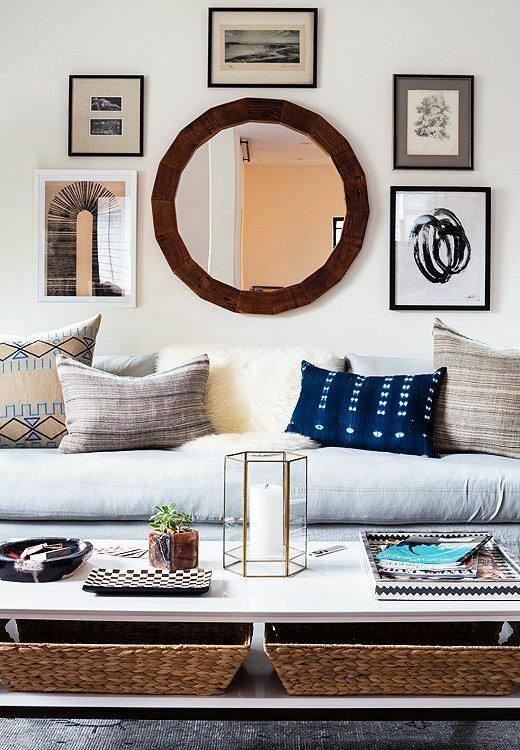 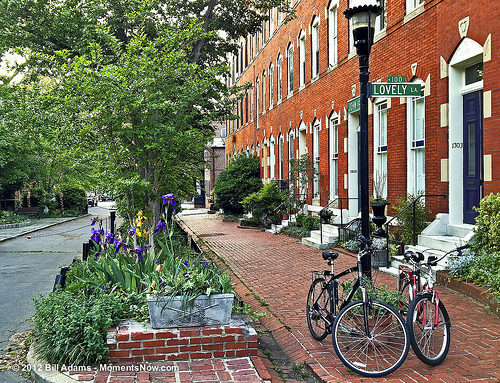 Try hanging any one of these at home for a look that’s sure to refresh your space. 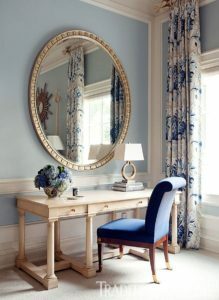 Check out the links below the photo for purchasing information. Need help determining which mirror works best in your space. 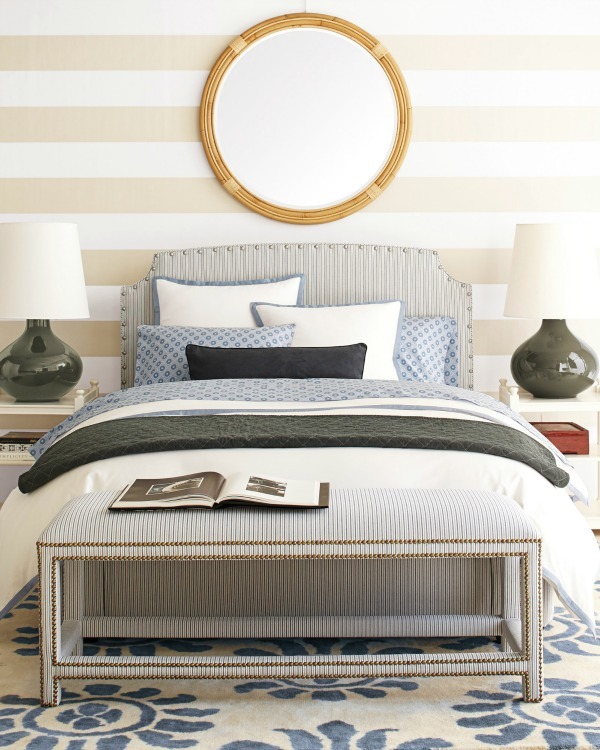 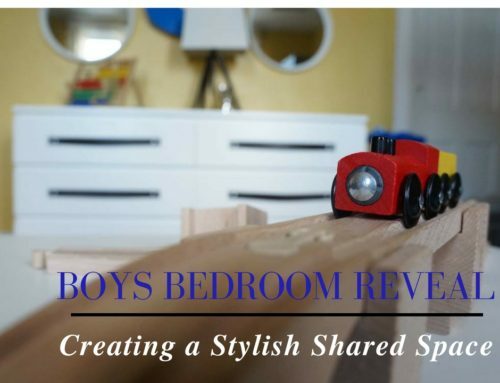 Schedule a consultation with me to discuss the best options for creating your room’s new look. 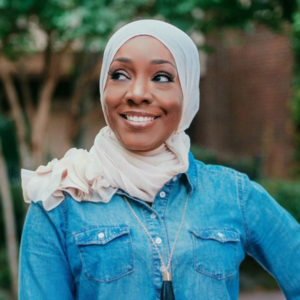 Contact me here and lets get started!